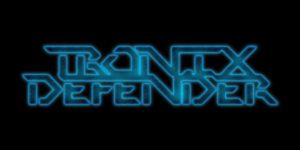 Tronix Defender is a retro styled Tower Defence game where you must protect your CPU from hack-bots and trojans inside a digital world. The levels are partially randomised for maximised replay-ability and the game is complemented by a killer Synthwave soundscape created by Time Slave Records. Pure passion project created because I love TD games! Pure neon retro style graphics inspired by Tron and other classic 80s culture from my childhood!